Providing you the best range of bare galvalume sheets and colour coated galvalume sheets with effective & timely delivery. 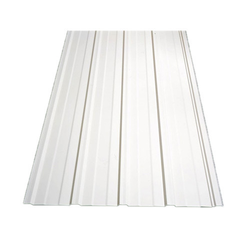 High tensile strength of Bare Galvalume Sheets makes them a reliable solution for roofing. They are made out of steel that can withstand extreme weather conditions. They are made out of high quality raw materials and are leak proof. It can be molded into a number of designs and are light weight. They have self drilling for perfect fit on the surface. We test the product for best possible performance. High tensile strength of Colour Coated Galvalume Sheets makes them a reliable solution for roofing. They are made out of steel that can withstand extreme weather conditions. They are made out of high quality raw materials and are leak proof. It can be molded into a number of designs and are light weight. They have self drilling for perfect fit on the surface. We test the product for best possible performance.